Prada loafer pump in burnished calf leather. For in-store inquiries, use sku #2260651. 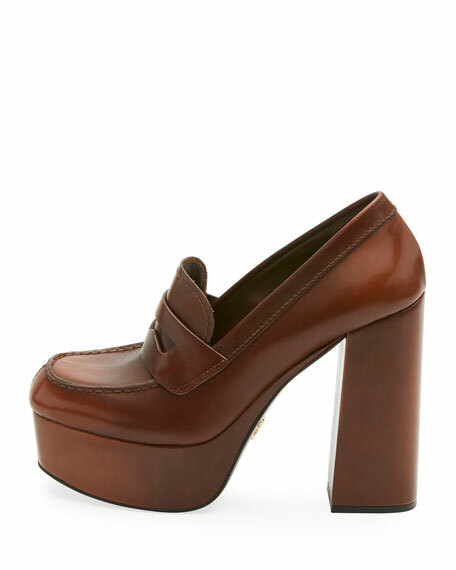 Balenciaga burnished calf leather mule pump. 4.3" heel with coiled wrap. Open toe. Slide-on style. Made in Italy. 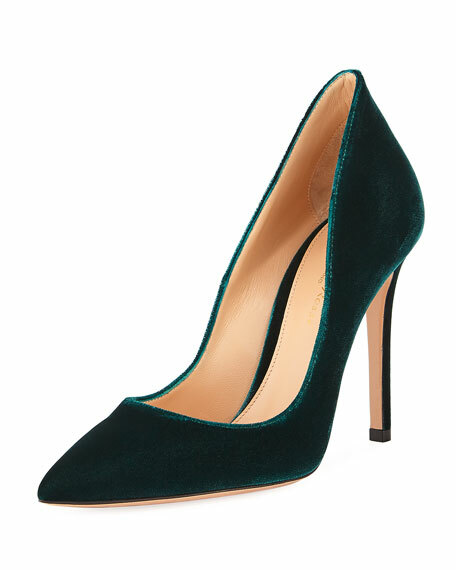 Chloe suede pump with signature scalloped collar. Available in multiple colors. 2.3" covered block heel. Round toe. Tonal topstitching. Smooth outsole. Slip-on style. "Lauren" is made in Italy. Gianvito Rossi "Ellipsis" pump with velvet upper. Available in multiple colors. 4.1" covered heel. Pointed toe. Low-dipped collar. Raised back heel counter. Leather lining. Smooth outsole. "Ellipsis" is handmade in Italy. Gianvito Rossi pump in patent leather and PVC. 2.3" covered heel. Pointed toe. Transparent sides. Adjustable slingback strap. Padded footbed. Smooth outsole. Made in Italy.